Roasted Broccoli Grilled Cheese Sandwich-the best way to eat your broccoli! It’s a cheesy week on Two Peas and Their Pod! On Monday, we shared a sweet grilled cheese recipe, Pumpkin, Chocolate, and Brie Grilled Cheese. Today we are sharing a savory grilled cheese sandwich, Roasted Broccoli Grilled Cheese. Fasten your seat belts and get ready for a cheesy ride! This recipe comes from the cookbook, Bountiful, written and photographed by our dear friends Todd Porter and Diane Cu (White on Rice Couple). The cookbook is more than just a book. It is a work of art and a labor of love. The book is filled with 100 recipes inspired from Todd and Diane’s amazing garden. The recipes are fresh, seasonal and simple. We’ve already bookmarked just about every recipe…and Caleb keeps trying to eat the galette on the cover. I guess we better make that recipe next! When I saw Todd and Diane’s recipe for a Roasted Broccoli Grilled Cheese in their new book, Bountiful, I knew I had to make them for my guys. Caleb asks for grilled cheese sandwiches on a regular basis…and so does Josh. I always try to make a salad or vegetable to go on the side, but I don’t have to with this grilled cheese. Putting veggies inside of the sandwich is genius! 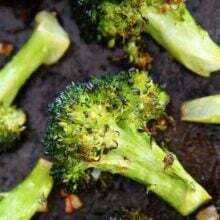 Roasted broccoli is so simple to make and brings out the best in broccoli. I could easily eat an entire pan by myself, but I refrained so I could make our sandwiches. You can’t go wrong with the broccoli and cheddar combination. It is a classic! 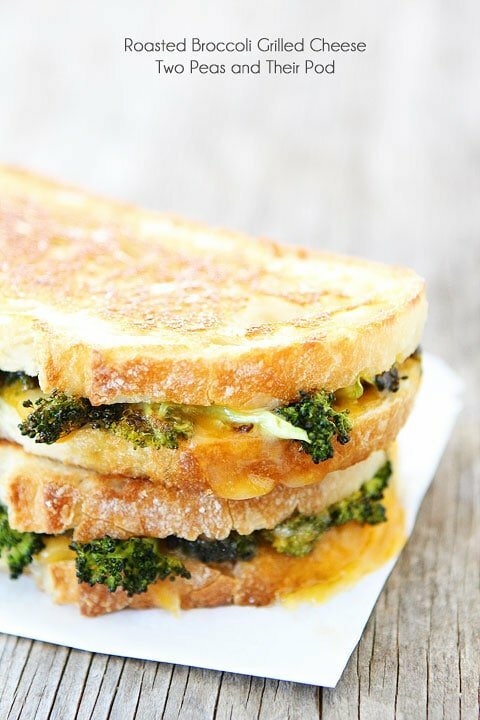 Grilled buttered bread, melted cheese, and crisp roasted broccoli-now that’s a sandwich! My guys didn’t even complain about eating their veggies! Next time you are in the mood for a grilled cheese sandwich, give this Roasted Broccoli Grilled Cheese a try! It’s great for lunch or dinner! Grilled cheese with roasted broccoli-the best way to eat broccoli! 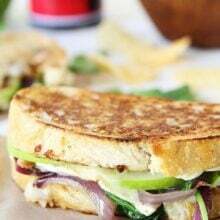 This easy sandwich is great for lunch or dinner! On a sheet pan, mix the broccoli, oil, salt, and pepper. Roast for 8 to 10 minutes, or until the broccoli is evenly roasted but not burnt. Remove from the oven and allow to cool. Spread butter evenly on one side of each slice of bread. Dividing the ingredients evenly, layer cheese on the unbuttered side of half of the bread slices, then add chopped broccoli in the middle and more cheese on top so that the broccoli lies between two layers of cheese. This keeps the small pieces of broccoli from falling out as the cheese melts. Top each with another slice of bread, butter side out. "Grill" in the skillet, turning sandwiches over once, until the cheese melts and the bread is evenly toasted. Note-for gluten-free use gluten-free bread. Gorgeous grilled cheese! Love the broccoli in this too since it’ll definitely get me to eat my veggies! This cookbook is one on my wish list….thanks! Going to have to try this grilled cheese sandwich tonight. Wow, never thought about adding broccoli to a grilled cheese!! Yummy. Have tried all kinds of veggies (and some fruits) on grilled cheese sandwiches, except this. This will be happening soon! Damn that looks good! I’m alway surprised by what roasting does to broccoli. Can’t wait to try this! I’ve been looking forward to the release of that cookbook! I love broccoli! If I start making broccoli sandwiches I fear I’ll never eat anything else again. 🙂 This looks great. I do eat meat but not that often. Mostly veggie. I love to learn new recipes that are delicious and good for you. roasted broccoli is good in everything – lately i’ve been roasting mine with a drizzle of siracha… spicy broccoli grilled cheese? Yes please. This is fancy comfort food at its best… loving this recipe. I hope I win the cookbook! Thanks for the giveaway! I love the idea of roasting broccoli this way and making this delicious sandwich! Wonder what other great recipes are in this cookbook? 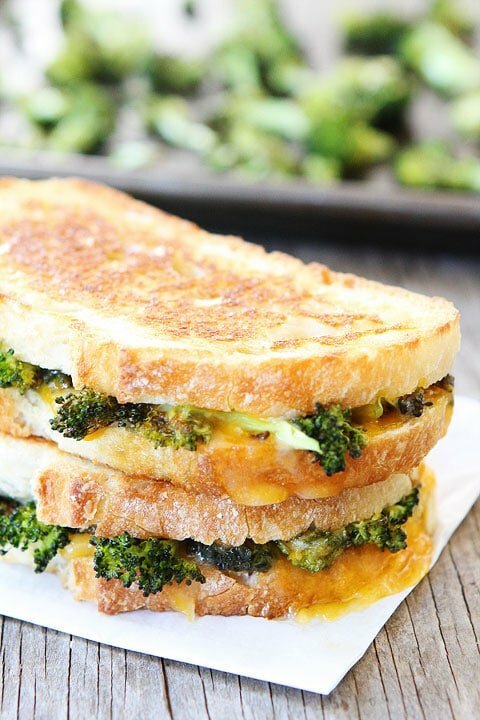 broccoli and cheese is perfection in a grilled cheese! This is seriously the best grilled cheese I’ve ever seen!! What a great way to eat a grilled cheese that everyone will love. 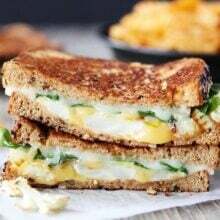 Love a new spin on the classic grilled cheese! So awesome for Todd and Diane! Love the idea of roasted broccoli in a grilled cheese sandwich. You are the grilled cheese queen! Todd and Diane are amazing. Can’t wait to get my mitts on their book! I absolutely love broccoli, and I think that roasting it is such a fantastic way to prepare it. 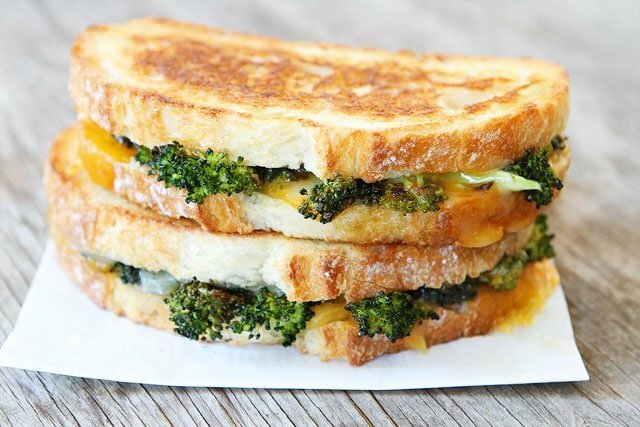 I would have never thought of putting roasted broccoli in a grilled cheese, but this seems a match made in heaven. I have some broccoli at home, so I think I’m going to try this tonight! It’s just like the soup, but in a sandwich… Cool! You’ve inspired me to experiment with grilled cheese sandwiches recently; I never thought to try adding broccoli! 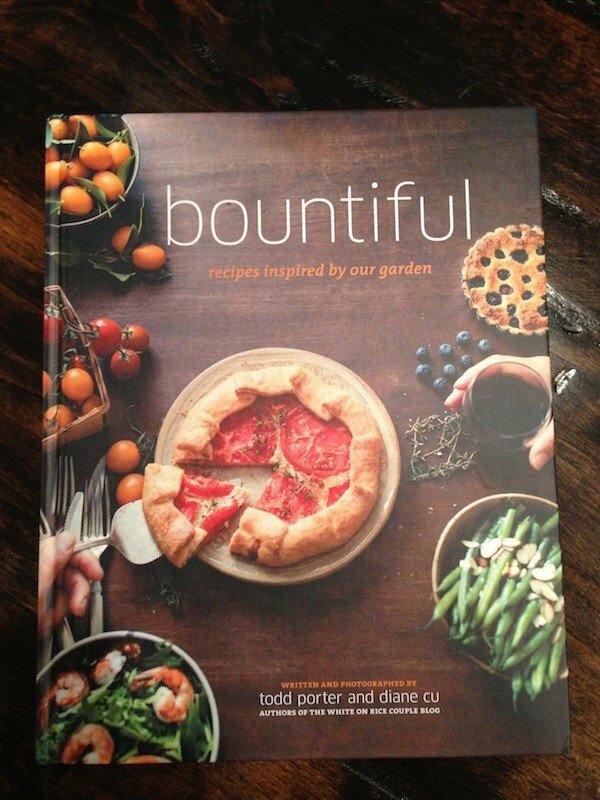 I can’t wait to get a look at “Bountiful”; thanks so much for the chance to win a copy! …I meant to add, it’s my favorite veggie! Roasted broccoli IN the grilled cheese?! Yes! I love it. This may be my new favorite!!.. it’s a sandwich version of my favorite soup!! Cheddar broccoli soup in a bread bowl!! This sandwich looks delic! Melted cheese with veggies between bread, how could that not be yummy! Excited for this cookbook! Hello gorgeous! I love putting roasted veggies on grilled cheese, but have yet to try a broccoli version. It’s going to be my next! I wish I had one of those right now! My favorite fruit is mango. My favorite veggie is the tomato, and if that doesn’t count as a veggie then it’s peppers. My favorite vegetables are broccoli (woohoo!) and winter squash. I love winter vegetables! Your grilled cheese looks so yummy! Love broccoli and grilled cheese so this looks like a real winner in my book! 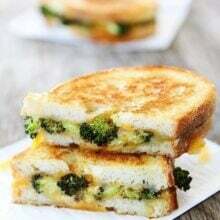 I love roasted broccoli, fab grilled cheese! This sounds like a winner. Broccoli is on my grocery list. Thank you! 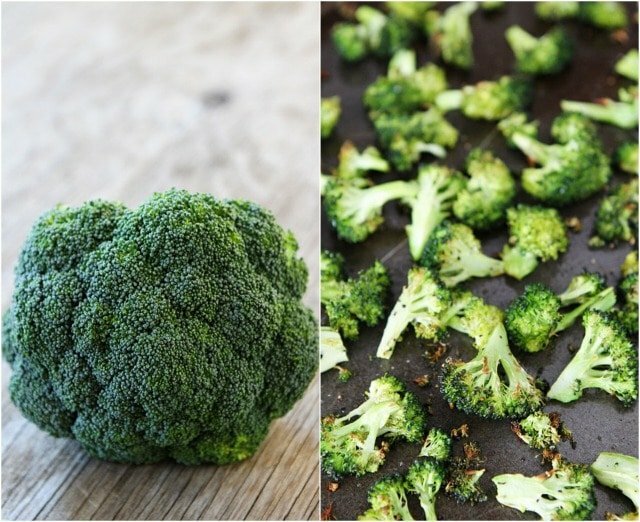 What a great idea to roast the broccoli prior to making a grilled broccoli and cheese. I know my daughter would be totally down with this. Thanks! I love roasted veggies and I love grilled cheese sandwiches. Put the two together – heaven! Excited to get a new cookbook. I need to roast broccoli more often!! I just forget about roasting it but it is so yummy that way! Broccoli and grilled cheese is such a genius combination! I bet it pairs perfectly with a nice, hot bowl of soup! That looks sooo good. I NEED to make this. Oh wow, this definitely looks like the best way to eat broccoli! YUM!! Yum! I love broccoli and this sandwich looks perfect! Such a delish looking grilled cheese! yeah!! such a fan of this grilled cheese and this cookbook! Favorite fruit: Apples. Favorite vegetable: Carrots. I just made this but I sprinkled mine with salt and cayenne, OMG it was amazing. I’m ashamed to say I have never tried roasted broccoli but after this it will definitely be my go to method. Yum!! 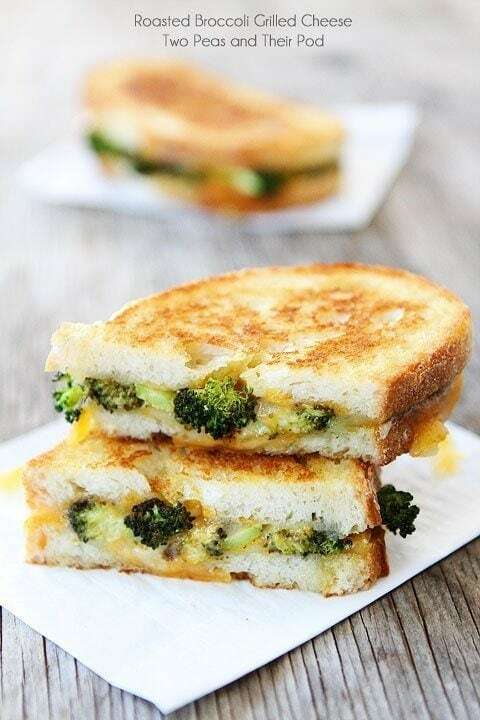 I LOVE grilled cheese, and love the idea of adding broccoli to it!! Great way to get some of your greens in a day! Thanks for the chance to win this beautiful book…it seems fantastic!! I love grilled cheese! this is such an awesome spin on it! especially since broccoli is one of my favorite veggies! Boy that would sure scale up my little grilled cheese makes me hungry to try right now! I’m always looking for new quick but healthy weeknight dinners….this one makes the grade; quick, delicious, family pleaser, and it’s healthy and beautiful! This looks so good! Made grilled cheese last night , wish I had seen this first! I love this recipe and all the ingredients!!!! I like using pineapple because you can use it in a variety of ways and types of food. So I am a big fan of food. Who isn’t? In addition to eating food I like to cook food, think about food and read about food (especially if there are photos). Who doesn’t like a storybook with pictures? And when you combine all of these things with broccoli, cheese and a cold fall day you really cannot go wrong. Your recipes are so ‘real’ and if that doesn’t make sense, take a look at any fast food or even slow food restaurant or most tables across North America. As much fun as it can be to invent, go a little crazy and try to find any way possible to eat horrible-for-us things, it’s also nice to be really basic. And how much more basic can you get than broccoli, cheese and bread. The three staples of my house if I could choose. Broccoli has always been my favourite – I don’t exactly know what it is that drew me to the colour green and the oft-hated vegetable but they’re my solids. I even carried a bouquet of broccoli down the aisle at my Thanksgiving (Canadian) wedding last fall. It was fitting, it smelled better than any flower I know of and it got made into soup two days later and was just as delicious as anything else I could have imagined eating. So all of this to say, thanks for this fabulous recipe and for loving real food. I’ve made so many of your dishes (also a huge fan of the Quinoa Vegetarian Chili) and I hope to keep up with you as much as possible over the next few years and I potentially start my own family and an adventure in motherhood, cooking for kids and keeping my husband guessing with good smells and full bowls in the kitchen. Keep writing, keep cooking and keep loving the real food! I’m a Peace Corps volunteer living in a place with no cheese, or broccoli, or much bread…things that I miss a LOT! Stupid me got on the pinterest food section and saw this – I wanted to cry! It looks fantastic!! I will definitely be making this ASAP as soon as I’m stateside again! Had this for lunch and yum! Roasted cauliflower w/the broccoli and brushed olive oil on rosemary bread instead of using butter. Used good Irish cheddar and all together this was delicious!! Delicious! Just cooked this up and am enjoying every last bit of it with a mayo/ketchup dip! Thank you for yet another recipe with yummy broccoli. Also, added a dash of chili salt, SO GOOD! I make roasted broccoli all the time and have leftovers. I am always trying to think of something to do with it other than just warming it up for lunch. And…. since my husband’s favorite omelet for a brunch out is ham, broccoli and cheddar, I think I may try this and add a slice of Honey Baked Ham to the sandwich as a surprise for him. Add this to a bowl of tomato soup and he will be in heaven! Thanks for the great idea and recipe. What type of bread did you use? You can use your favorite bread. My boys like sourdough! Yum! I have made this a few times this week for our lunch! A great way to squeeze in vegetables for the babies!! This is better than it sounds . Trust me ! Good Lord, the best grilled cheese I’ve ever had! I used sourdough bread. I’m making this all the time!